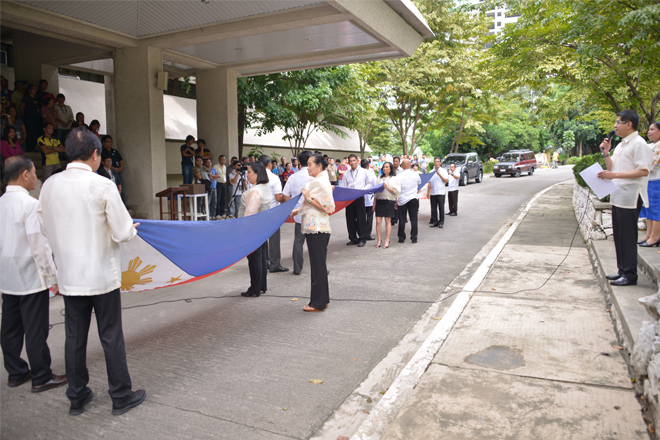 In line with the culmination of the month-long celebration of the 116th anniversary of the Philippine Civil Service, NAMRIA disposed all its worn-out Philippine flags during the flag retreat ceremony held at the flagpole area of its Fort Andres Bonifacio, Taguig City office grounds on 07 October 2016. Ms. Zenaida A. Leaño of the Support Services Branch (SSB) served as coordinator and emcee of the ceremony. Ceremonial folding of NAMRIA's worn-out flags by top officials and middle managers, while Deputy Administrator Efren P. Carandang delivers his opening remarks -- VENER QUINTIN TAGUBA JR. In his opening remarks, Deputy Administrator (DA) Efren P. Carandang explained the importance of the ceremony, by stressing that respect to the Philippine flag symbolizes full patriotism. Ms. Aurea O. Virtudazo of the Resource Data Analysis Branch (RDAB) led the officials and employees in the singing of the Philippine National Anthem. 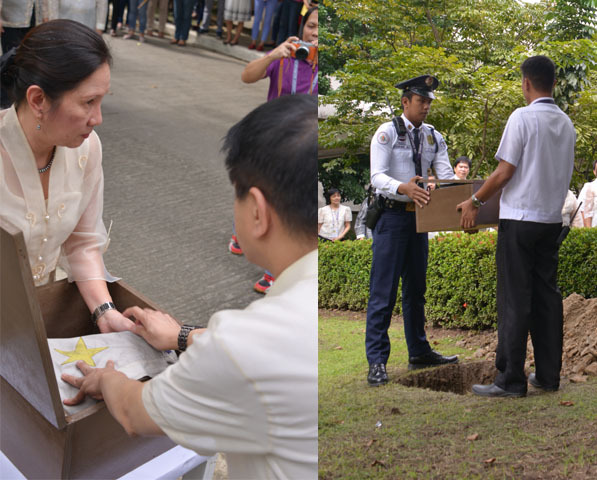 The wooden box containing all the worn-out Philippine flags was then buried in a hole near the flagpole area. The song “Bayan Ko” was repeatedly played throughout the ceremony. 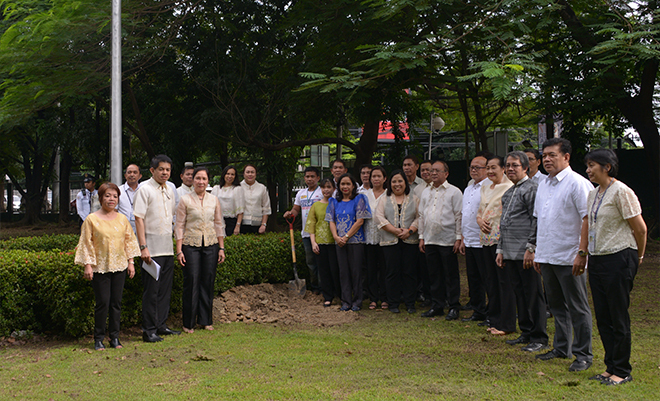 The flag disposal was done in accordance with RA 8491 or the Flag and Heraldic Code of the Philippines. The law provides that reverence and respect shall at all times be accorded to the flag, the anthem and other national symbols. In Section 14, it is stated that a flag made worn-out through normal wear-and-tear shall not be thrown away and instead shall be solemnly burned to avoid misuse or desecration.